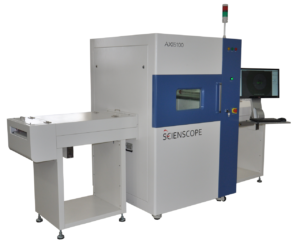 Scienscope International, an American supplier of cabinet style micro-focus X-ray systems, featured its new AXI-5100C automated in-line component counting system at the last IPC APEX EXPO. Component counting and inventory validation via X-ray analysis is an efficient process being increasingly employed within the circuit assembly world. Component counting offers many advantages, including but not limited to providing operators with certainty, exactly what they have in inventory prior to setting up a line. This accurate information helps to avoid the dreaded “line down” scenario and all of the associated costs of this event. Examples being, line setup and tear down time, express shipping charges, or missing a quantity commitment or shipping deadline. X-ray component counting also saves money by greatly reducing stockroom man hours and the inaccuracy associated with manual parts counting and count transposition. 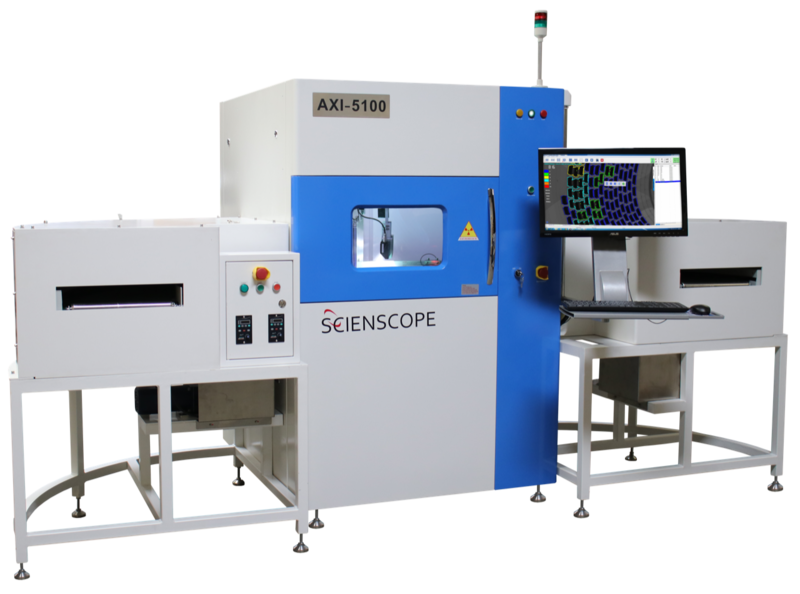 Designed for higher volume manufacturers, the AXI-5100C is the fastest component counting system ever. This system can be part of a complete automated solution for component counting when operating in an in-line fashion and integrated with storage towers. It is unique in the industry. Additionally, Scienscope will display its proven bench top component counting system, the AXC-800. 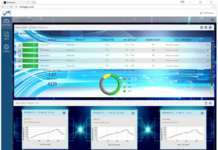 This system offers medium volume users, or those not requiring automation, the ability to accurately maintain component inventory while saving greater than 50 percent of the labor associated with this tedious task. 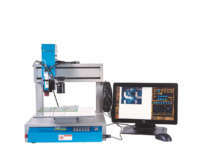 It is capable of counting four 7” reels simultaneously in 40 seconds or less. 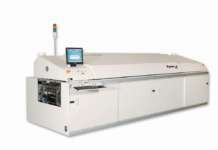 It also is capable of counting components in a variety of packaging methods. Both of these systems communicate readily with data management, MRP and ERP systems. Also, Scienscope has committed to customizing the data output for customers to ensure that communication setup is fast and easy whether it be with storage towers, smart carts or customers’ own data management systems.